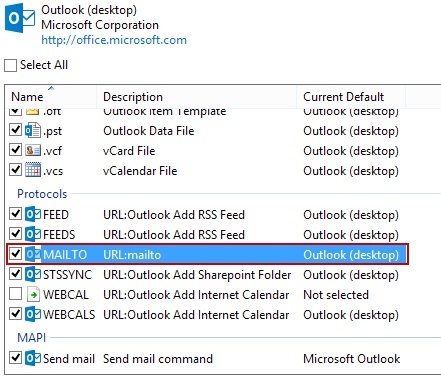 How do I set Outlook as my default e-mail client for Windows 8? 2. Click the “Set your default programs” option. 3. 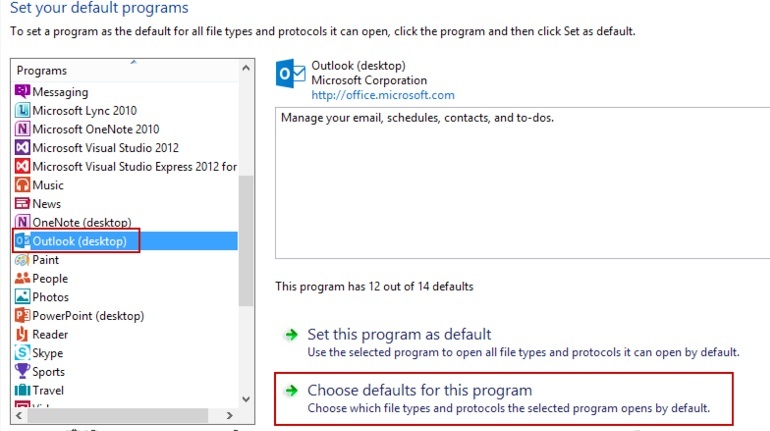 Select “Outlook (desktop)” from the programs list, then click on “Choose defaults for this program”. 4. Scroll down to the Protocols list and turn on the MAILTO protocol.